The words seemed to jump out of the air and grab my attention. "Not one word of all the good promises that the Lord had made to the house of Israel had failed; all came to pass." NOT ONE WORD..." Wow! This is the God that we serve. And this is hope. He gives hope, because He is faithful and true. Reading and meditating on these words, I was filled with hope. I began to think of specific words God had spoken over our lives and that others had prayed over us. How wonderful to have the assurance that not one word of these promises would fail. But these blessings did not just come to the Israelites. Connected to these promises of blessings were promises of trouble and punishment if the Israelites did not stay faithful to God. 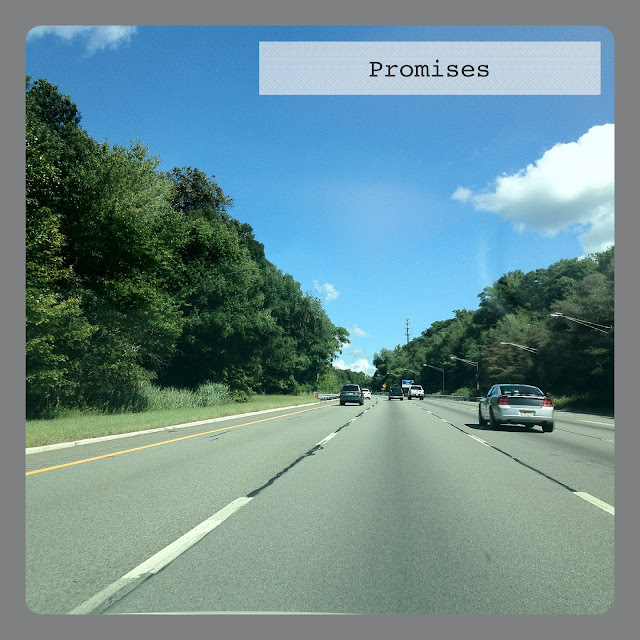 I began to think of the many promises that are scattered throughout the Bible. They are almost always conditional. Why? Because God is a just God and He cannot do anything that is contrary to His nature. To leave sin unpunished would be contrary to His nature of perfect justice. But I cannot always perfectly obey God. I cannot be righteous. I cannot love perfectly. I cannot be unendingly faithful. So that is why Jesus came. HE is always perfectly obedient to the Father. HE is righteous. HE always loves perfectly. HE is unendingly faithful. And because He gave me His righteousness, if I choose to accept and live in His righteousness, all the promises and blessing that He has promised are mine. "Not one word of all the good promises that the Lord..." has made to me, His child, will fail. What better encouragement could there be as we are driving across the country to serve the Lord in what He has called us to do? All His promises...the hard ones where He has promised to make us like Jesus, and the wonderful ones where He has promised to keep us in perfect peace....are going to be fulfilled in us...are BEING fulfilled in us. And the best promise is yet to be fulfilled...the promise of heaven. What a beautiful day that will be!